Fermentation is all the rage in health and fitness circles, but can a person live for one year on nothing but fermented foods? One brave homebrewer tries to find out. On January 1, 2014, homebrewer and writer Derek Dellinger began a journey that would change nearly everything he thought he knew about fermented food and beverage—and as a beer expert, he knew a lot. For an entire year, Dellinger would eat or drink only products that had been created by microbes. Exploring the vast world of fermentation, Dellinger became the living embodiment of its cultural and nutritional power—he became the Fermented Man. 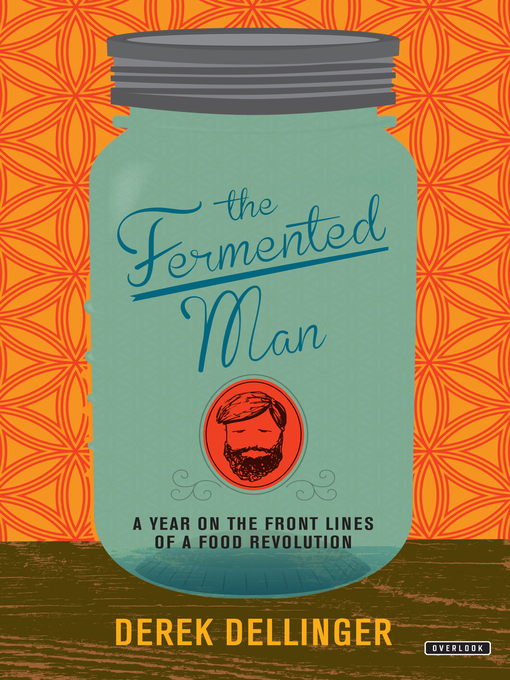 In this entertaining and informative narrative, Dellinger catalogs his year spent on this unorthodox diet, revealing insights about the science of fermentation, as well as its cultural history, culinary value, and nutritional impact along the way. He goes beyond yogurt and sauerkraut to show us how fermentation occurs in a wide range of foods we might never have expected, and is at the root of many unique delicacies around the world. From foraging for living bacteria in the modern American grocery store, to sampling mucousy green Century Eggs in Chinatown, to an epic winter quest to Iceland for rotten shark meat, Dellinger investigates a realm of forgotten foods that is endlessly complex and surprisingly flavorful. And despite our collective aversion to bacteria, Dellinger's experience and research reveals that it is these same microbes that may hold the key to our health and diets. With bonus recipes for readers who are eager to get off the page and into the kitchen, The Fermented Man is an adventure story, culinary history, and science project all in one.